Ready in 2 mins. 100% wholegrain. Helps lower cholesterol. No added sugar. No artificial preservatives. 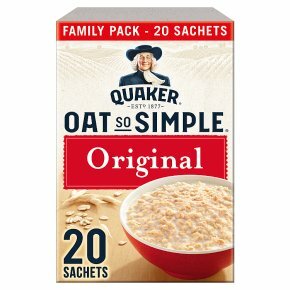 Quaker Oat So Simple Original family pack porridge sachets Helps lower Cholesterol? ?Oat beta-glucan has been shown to lower blood cholesterol. High cholesterol is a risk factor in the development of coronary heart disease.